Berkery Noyes Represents Holiday House in its Sale to Trustbridge Partners - Berkery, Noyes & Co., LLC. 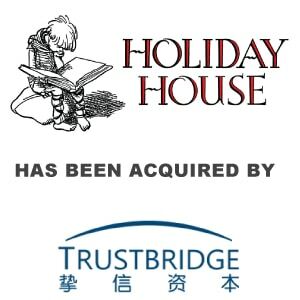 New York, August 15, 2016 – Berkery Noyes, a leading independent investment bank providing mergers & acquisitions advisory services to the information and education markets, announced today that it represented Holiday House in its sale to Trustbridge Partners, the global growth equity investment firm. Holiday House is a children’s publisher that serves the library, trade and school markets. 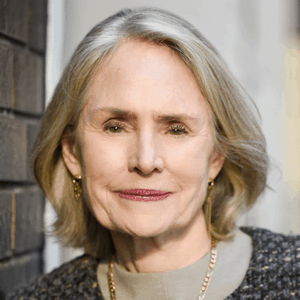 Founded in 1935 and acquired by John Briggs in 1965, Holiday House has built a franchise among children, their families, librarians and teachers for more than eight decades. Under new ownership the key managers and staff hope to further penetrate existing markets with their strong publishing program and extend their success globally. Trustbridge Partners is a leading growth equity investor with offices in Boston, Shanghai and Hong Kong, focusing on high-quality growth opportunities. Founded in 2006, Trustbridge currently manages approximately $5 billion in assets from an investor base that includes leading university endowments, pension funds and strategic industry partners. Its investment philosophy is driven by a fundamental understanding of long-term trends in society, consumer behavior, and technology. Berkery Noyes provides strategic mergers and acquisitions advisory services to middle-market companies in the United States and internationally. The firm has been involved in many notable transactions in the information and education sectors, including Thomson Reuters’ acquisition of Discovery Logic, Inc.; Iron Data’s acquisition of Versa Systems, Inc.; Internet Brands acquisition of Nolo, Inc.; Random House’s acquisition of Ten Speed Press; Gale’s acquisition of HighBeam; Wicks’ acquisition of The Gordian Group; Berlitz’ acquisition of Second Language Testing Inc.; Oxford University Press’ acquisition of Roxbury; Cambium Learning Group’s acquisition of Class.com; Weld North’s acquisition of JBHM Education Group LLC; The Riverside Company’s acquisition of BankersEdge; Informa PLC’s acquisition of M.E. Sharpe; and Kaplan’s acquisition of SmartPros, among others.